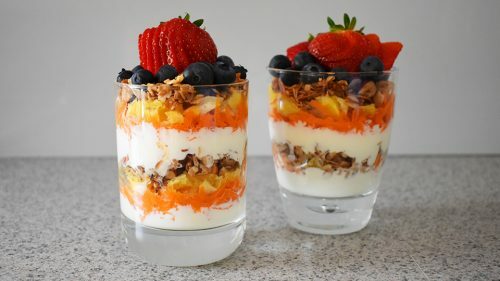 Since finding out that I have fructose intolerance, I’ve had to change the way I cook and I now eat quite differently. One of the biggest challenges with having to eliminate things like garlic and onion is finding ways to get flavour into the meals. Pesto is one of those big-flavour foods that can totally transform a dish. 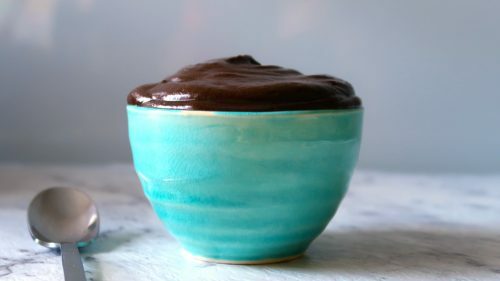 Plus, it gets bonus points for being so versatile – it can be enjoyed as a pasta sauce, a dip with crackers, put on pizza or with baked chicken (my favourite). That’s why I was determined to create a recipe for a low-fructose basil pesto that is still big on taste. For this version, chives replace garlic and macadamia nuts give it a nutty and chunky texture. 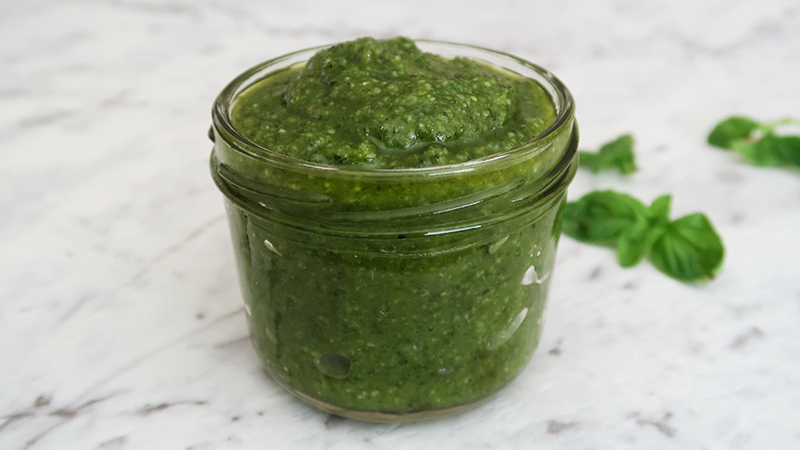 This low-fructose basil pesto is bursting with fresh, herby flavour and is so easy to make. Begin by lightly toasting the pine nuts in a dry frying pan (no oil required). This will take approximately 5-7 minutes. Once the pine nuts have turned golden in colour, turn off the heat. 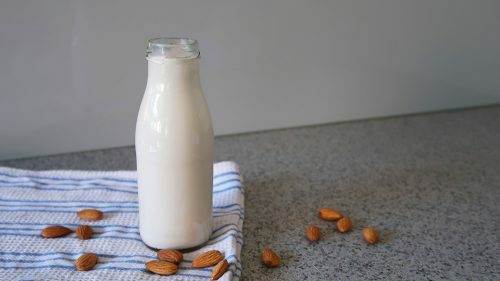 Add the macadamia nuts to a blender and pulse a few times to break them up. Add all other ingredients to the blender and blend on a low speed for about 30 seconds, or until it reaches a texture you prefer. 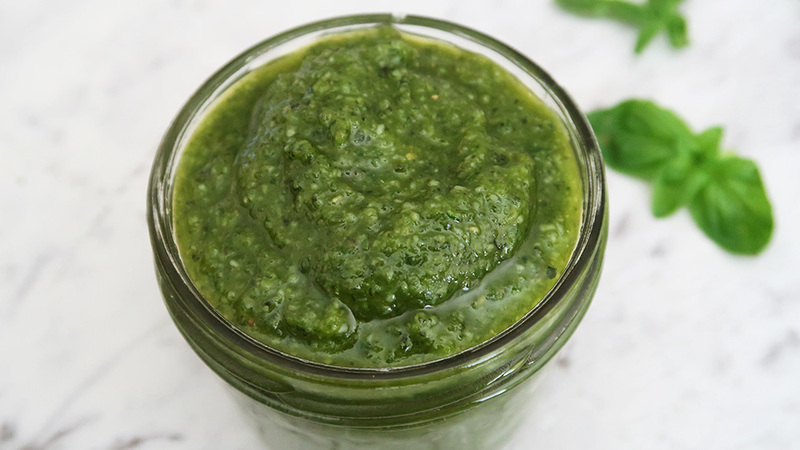 I like this pesto well combined but slightly chunky, but you could blend for longer if you’d like a smoother consistency. Store the pesto in an air-tight jar in the fridge and consume within a few days. What you eat can make a huge difference to your energy levels. Three food experts weigh in on what to eat and what to avoid when fighting fatigue.